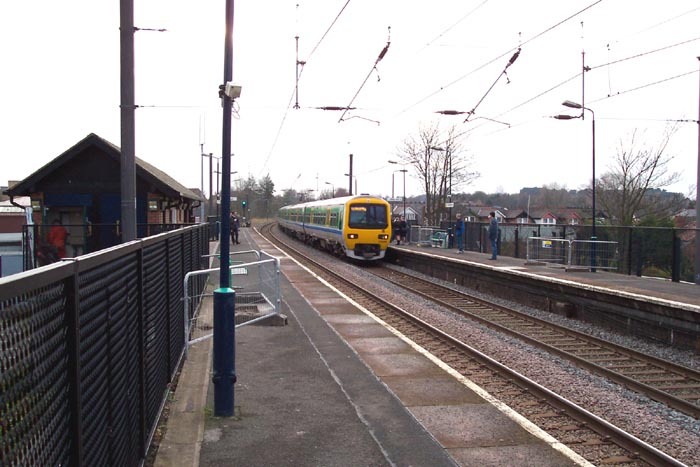 Erdington station opened in 1862 on the LNWR's line from New Street to Sutton Coldfield, and post-1884 to Lichfield. As with many stations on the Cross-City line, it is now devoid of any character and has a purely functional appearance which is a pity considering the buildings at the station in its heyday. 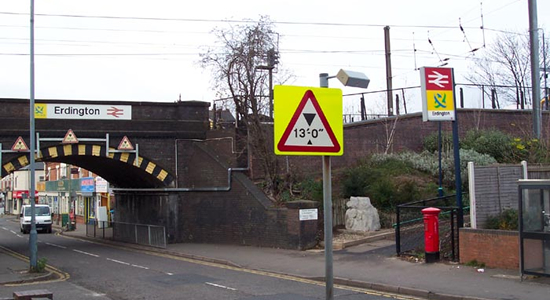 Above we are standing on Station Road with the road bridge ahead and the entrance pathway up to the Birmingham platform to the right. 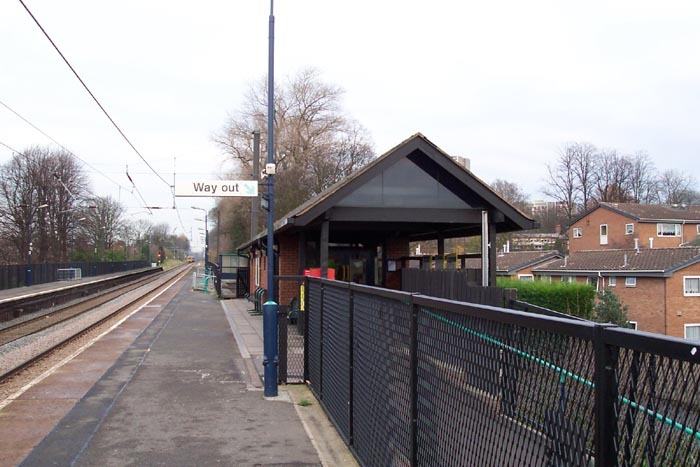 Above-left we have arrived at the top of the aforementioned pathway and are looking along the station in the direction of Sutton Coldfield. The building to the right is the booking office. 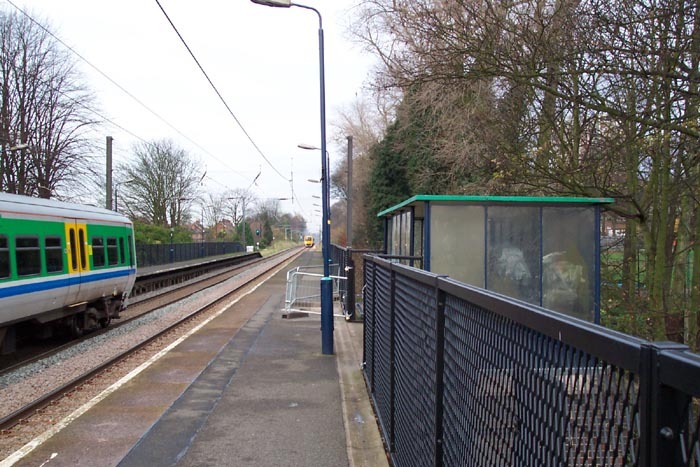 Interestingly, the wooden platform buildings originally at the station were gradually removed with various improvements to the Cross-City line, especially electrification of the line during the early-1990s. However, the original booking office had to be replaced prior to electrification as it was destroyed by fire a couple of years previously! Above-right we see a bit of history, albeit an unattractive one, in a 1970s station shelter still extant on the Birmingham platform. 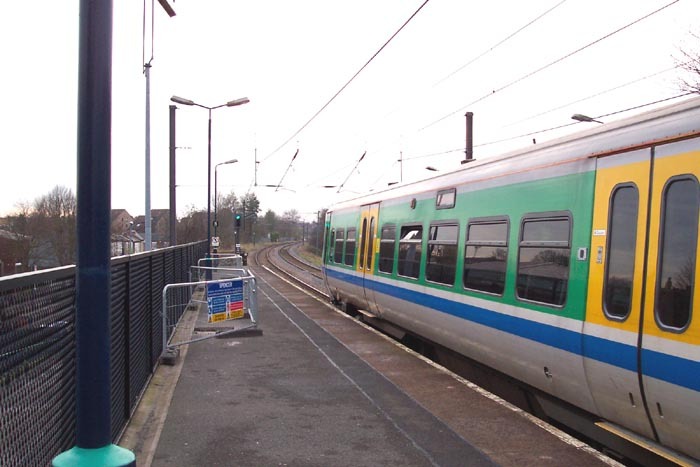 Above-left we are now looking towards Birmingham as a 323 EMU pulls-in on its way to Lichfield City. Above-right we are looking in the same direction but this time have walked forward passing the booking office. There really is not a lot to say about this station. It is unkempt, poorly maintained and devoid of character. To appreciate what originally stood at this site, check out the 'Postcards' pages.